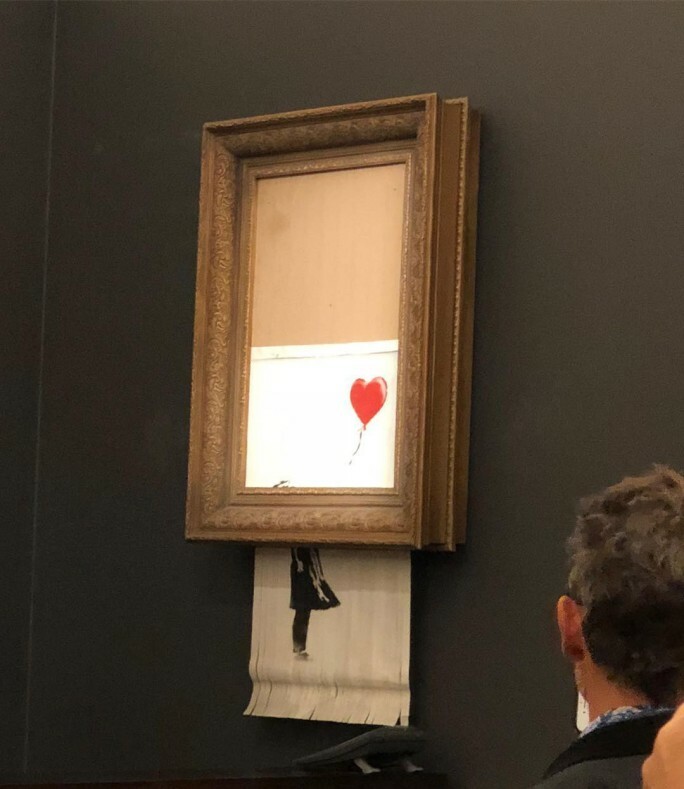 In a moment that caught the art world by surprise, Banksy’s Girl with Balloon self-destructed just as the final hammer signaled the end of an evening of auctions in London. The work sold for £1,042,000 ($1.4 million), tying the artist’s record at auction previously achieved in 2008. Разрезано на крупные полосы и не до конца :) Смешной перфоманс.